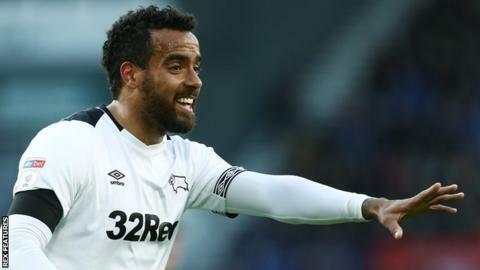 Derby County midfielder Tom Huddlestone has triggered a extension to his contract which will now run until the end of the 2019-20 season. The 32-year-old, who is in his second spell at Derby, had an option in his current deal which has been activated based on appearances. Huddlestone played 47 times in all competitions last season and has made 26 appearances this term. He made his Derby debut at the age of 16 in August 2003 and rejoined in 2017. Huddlestone moved to Tottenham in 2005 but returned to Pride Park after eight years with Spurs and four years with Hull City. He has played four times for England, his most recent cap coming in 2012.